"Adopting and Advocating for the Special Needs Child" bridges the gap between the desire to help a waiting child and the reality of America's special needs adoption system. It is designed to be used by adoption professionals and adoptive parents, to help them get started, keep going, and locate whatever additional information and support they need. The authors are adoption professionals, long-time support volunteers, child advocates, and mothers of a total of 21 children, 13 of them adopted children with special needs. Tens of thousands of children in the United States alone are waiting in foster care for parents, and many Americans, single and married, want to open their hearts and homes to these children who wait. A landmark 1980 federal law made adopting and raising special needs children affordable even for people of limited means. What could be easier than matching these kids to these families? The reality is that many prospective adopters never complete the adoption process because of red tape, regulations, and institutional lethargy. Among the adults who complete a homestudy or placement, lack of support services and advocacy training sometimes leads to heartbreak and adoption failure-not a happy ending. "Adopting and Advocating for the Special Needs Child" bridges the gap between the desire to help a waiting child and the reality of America's special needs adoption system. It is designed to be used by adoption professionals and adoptive parents, to help them get started, keep going, and locate whatever additional information and support they need. 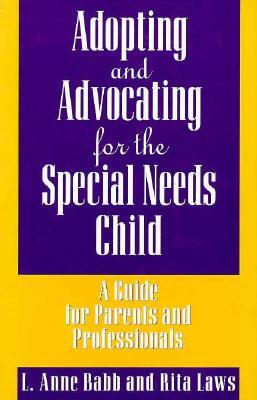 The authors are adoption professionals, long-time support volunteers, child advocates, and mothers of a total of 23 children, 14 of them adopted children with special needs. Description: Brand new book from our store shelves. A few very small bump marks to corners from customer handling in store. Ships same or next day.